Time flies and if you’re of the age to remember Cobra’s Baffler has been around since 1975. Granted the Baffler name has been applied to every type of club in the bag except putters but each “Baffler” has shared a common feature. Each had metal skids on the sole called “rails” that helped the head glide through the turf and get the ball out of almost any lie. Once golfers discovered what the original Baffler could do for them it’s no wonder it wore the “utility” club tag. The first Baffler had a steel-shafted persimmon head with 23 degrees of loft and 40 years ago this was considered a strong 7-wood. Significantly the Baffler was among the first clubs of the modern era (along with the Ginty by Stan Thompson and the TaylorMade Raylor) that ultimately lead to the development of today’s jack-of-all-trades hybrids. 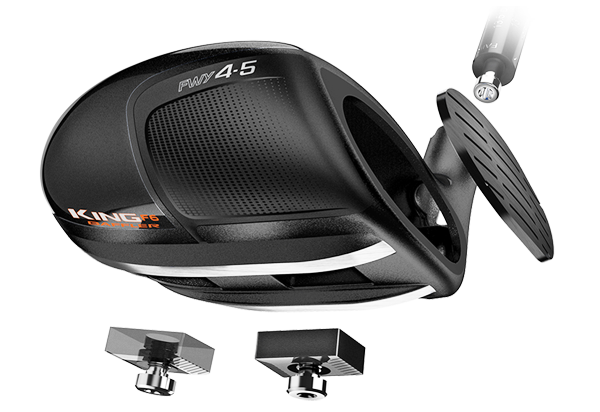 The current King F6 Baffler is described by Cobra as a “4/5 Fairway” and in addition to the pair of rails on the sole Cobra added two interchangeable weights to adjust launch trajectory and included their eight setting hosel—the familiar MyFly design first seen four years ago in the AMP Cell driver. For the 10 rounds testing I put the heavier weight (15 grams) in the rear position, the lighter weight (3 grams) in the position closer to the face and set the loft at 19 degrees. My thinking was to see how the Baffler could do out of the thick Bermuda lies common in my home state of Florida. This also fit nicely into the gap between my 3-wood and 4-hybrid. Jose Miraflor, Cobra’s Senior Director of Product Marketing & Creation, has said Rickie Fowler was instrumental in designing the F6 Baffler and uses one regularly on Tour, switching out with a 3-iron depending on conditions. Another thing worth mentioning is the slightly shorter shaft of 41 ¾ inches which is around one-half inch less than a typical 5-wood, but since distance is not the primary consideration this helps with control. 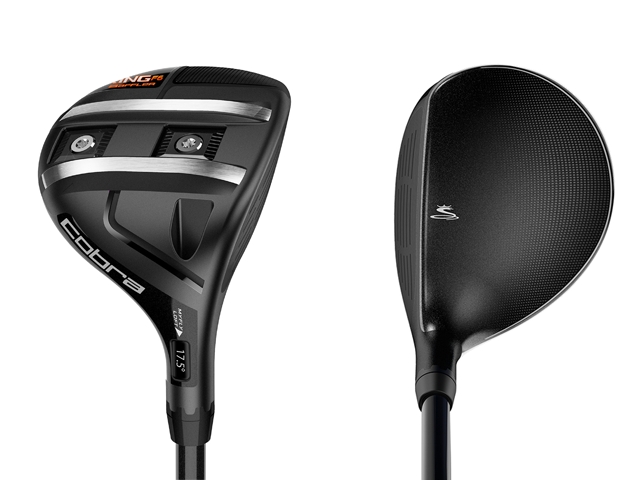 The clubhead is 178cc and larger than hybrids with lofts in the high teens that are usually in the range of 110 to 120cc. Before taking the F6 Baffler to the course I wondered if the head size might be problem getting through long Bermuda rough but results showed it wasn’t and the ball seemed to “shoot” out of virtually every lie. The rails not only help the sole glide through the grass but they have a slight ramping up on the ends nearest the leading edge of the clubhead. A very handy design especially if your downswing tends to be a little steep. After the 10 rounds with the Baffler in my bag, using it more as a hybrid than a fairway, it proved its usefulness time and again. From the fairway and off the tee I found it longer than the 18 degree hybrid it replaced and from thick lies it always got the ball back into play. Negatives: as a 4/5 fairway some may have a tough time finding a slot in their bag particularly if they already are carrying a 3-wood and 5-wood they really like. The clubhead size is larger than a hybrid and may be an issue with some. 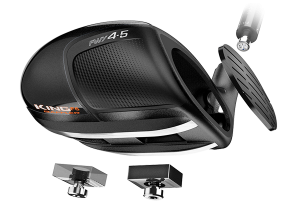 Recommendation: There is no question the F6 Baffler (retail $239) is a design that can do double duty as a fairway wood and hybrid. Those looking to improve their results when a long shot from the rough is called for should consider it.